The marketing and digital design for the world’s first independent music video awards. There is nothing we like more than being involved in something totally game-changing – or at least totally original. In fact we couldn’t believe this wasn’t something that had been done before when it was pitched. 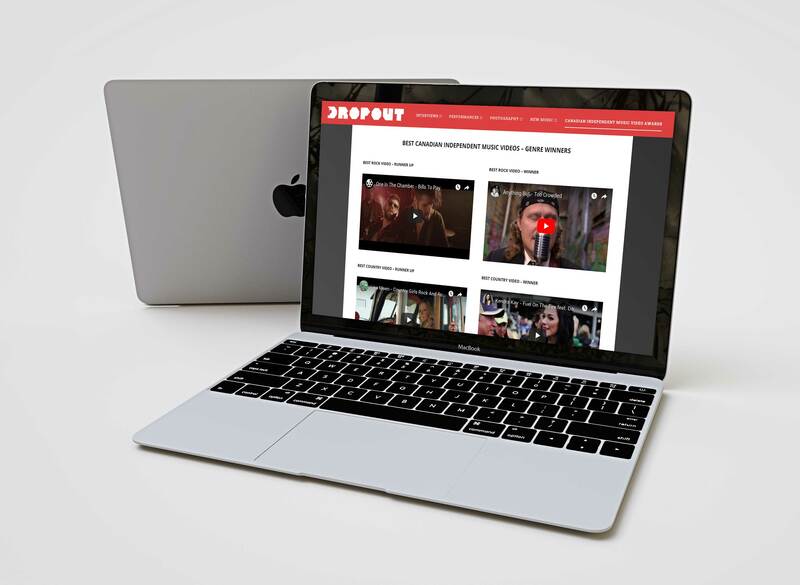 Dropout Entertainment is Canada’s newest force for shining light on Canadian Independent Music and Artists and it’s always an aim for any online platform to reach as big of an audience as possible, especially a music website. 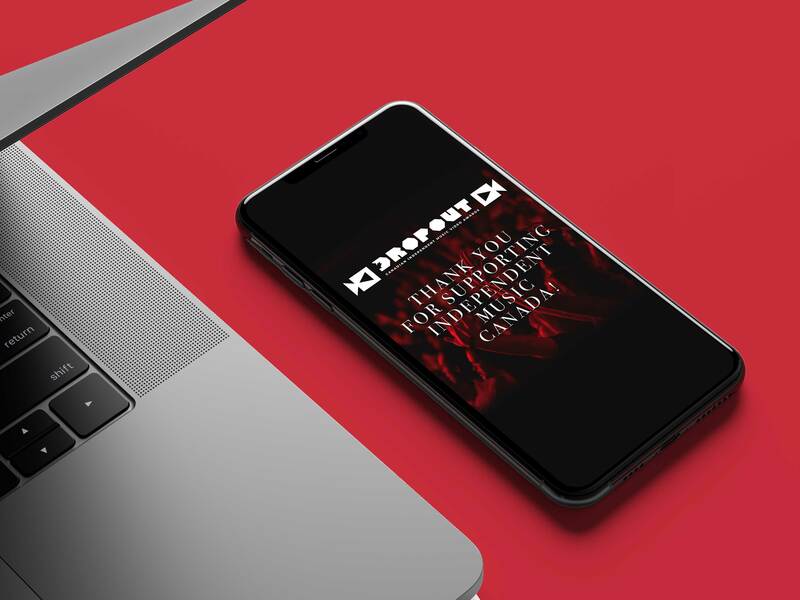 In late 2018 Toronto Creatives was extremely proud to participate as the digital / marketing partner for the first ever (anywhere) Canadian Independent Music Video Awards. 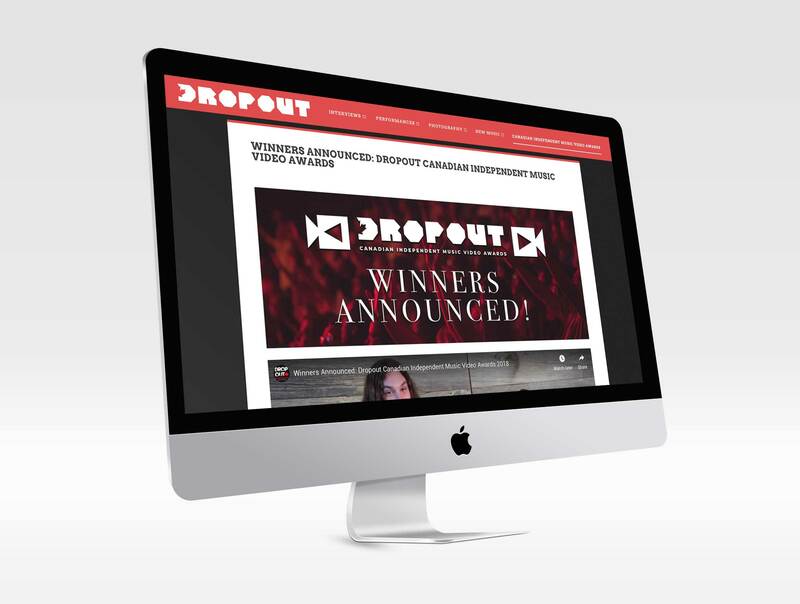 Toronto Creatives worked with out editorial partners at Dropout to develop the award contesting system, and optimize the user voting platform to maximize potential user engagement. 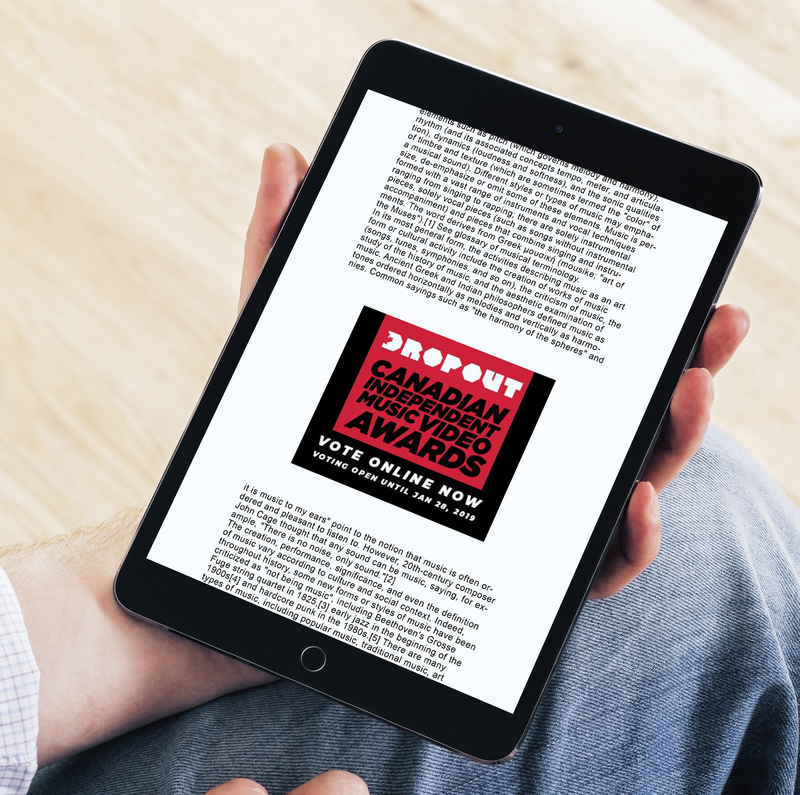 The awards was a great success and saw entries and online participation from thousands of Canadians and a handful of incredible bands and artists from all across the country.